A little over a year ago, I used the “KonMari Method” to pare down my wardrobe. At the time, I was able to purge 23 garments and 32 accessories from my closet. Since then, I have continued to do some culling here and there, including my recent jewelry box downsizing back in April. It’s good to periodically let pieces go when we find they aren’t working for us, but sometimes a more formal closet audit is in order, especially when we notice that the our wardrobe size is gradually increasing. So I decided to use Marie Kondo’s decluttering process once again this past weekend. The “KonMari Method” can help you downsize your closet. My closet is started to feel too crowded again. The hangers are too close together and it’s harder to look through my clothes than it was previously. When I open my closet, I feel a bit of a “heavy” feeling rather than the peaceful feeling I had at the beginning of the year. Since I’ve been bringing more in, it’s time to pare down so that my wardrobe doesn’t get out of hand like it was in the past. I have gained some weight recently. I’m not sure exactly how much (I almost never weigh myself) or why – and I know some of it is water retention, but I don’t feel as good in some of my clothes as I used to. I want everything in my closet to be things I can wear and feel good in now. If I still love some clothes that don’t fit all that great at the moment, I’ll store them elsewhere and revisit them in a few months. I want to better understand what I have, what I like to wear, and what my current style preferences are. Going through everything one by one will help me to do that, plus it will allow me to get rid of things that no longer work for me. I have some pieces that I’ve been holding onto for far too long without wearing them. I want to force myself to make decisions about these items. I want to stop feeling guilty for not wearing certain pieces and if I get them out of my closet, that will help. I’d like others to be able to use the items I’m not using regularly. Also, there’s no use having things take up space in my closet if I’m not using them! I am feeling stuck in life and nervous about turning 50. I hope that clearing away clutter in my home will help me to feel lighter and to gain some clarity on next steps. It took me just fifteen minutes to come up with the reasons above and it was time well spent. Getting clear before I began the KonMari process helped to increase my motivation and increased my stamina for the project ahead. For those of you who aren’t familiar with KonMari and the book, “The Life-Changing Magic of Tidying Up,” here’s a brief overview of the process. What’s really revolutionary about Marie Kondo’s methodology is that it focuses far more on what we want to keep rather than on those things we should pass on. This infuses the process with more positive energy and reduces the feelings of “heaviness” that tend to accompany decluttering. Kondo recommends that all like items be gathered from all around the house and placed in a central location, usually the floor. 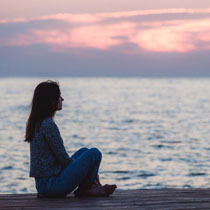 Once that has been done, we’re instructed to pick up each piece and ask ourselves, “Does this spark joy?” If this particular question doesn’t resonate with you personally, you can modify it to better suit you. An alternate question could be the one “The Minimalists” use, “Does this add value to my life?” Or you may simply expand Kondo’s question to also include “…or serve a useful purpose for me?” However you do it, it’s important to stick to the guideline of handling items individually and going with your initial gut response after posing the question. Like last time, I modified the process somewhat in that I went through my closet by category rather than piling its entire contents onto my floor or bed. That worked well for me previously, so I opted to go with it again. I started with my skirts and dresses, then went on to toppers, tops by sleeve length, pants, shoes, and purses. Each time, I pulled all of the appropriate pieces out of my closet, placed them on my bed, and went through them one by one. It took me at least twice as long to KonMari my closet last weekend as it did back in May 2015. The reason for this is that I needed to try on a lot more clothes this time around. In some instances, a particular garment “sparked joy” on the hanger, but I wasn’t sure if I would feel the same once I had it on my body. I haven’t gained a huge amount of weight, but even small weight shifts can affect how well things fit and how we feel about them. I went through each category fairly rapidly, asking myself the following question about every piece, “Does this spark joy or serve a useful purpose in my life?” If the answer was yes but I wasn’t sure if the item in question fit me, I set it aside to try on. After I evaluated all of the pieces in a category, I tried on the ones I had placed off to the side and made my final decision. I ended up with some items being “on the fence” because I still really liked them but didn’t like how they fit or felt at the moment. Those items (11 in total) are now being stored in another closet and will be revisited in a few months. These are some of the items I purged via the “KonMari Process” last weekend. For this reason, I’m not going to go through everything one by one. However, I do want to highlight some of the items and share the lessons they have taught me. Much like the old saying that people come into our lives for a reason, a season, or a lifetime, the same can be true of our clothes. Marie Kondo suggests that we encapsulate the lessons our clothes have taught us, thank them for being our “teachers,” and let them go with love. This is easier to do so in some cases than others, but I hope that by writing about my lessons learned, I’ll feel a sense of relief and potentially give some of you an “aha moment” or two about your own wardrobes. Each of these purged items taught me some valuable lessons. Black and white mixed print top: I love the look of this top, but it was so fussy to wear. The lesson I learned from this sartorial teacher is that it’s critically important that my clothes feel as good as they look. I don’t live my life in a photograph, so I need to be able to freely move around in my clothes and basically forget about them once they are on. I need to be as diligent as possible when trying clothes on to make sure they stay in place well when I move and don’t require a lot of adjustments throughout the day. Black/white/yellow tunic: The lesson from this tunic is to never settle on fit or be enticed by a sale price. I was so enamored with the fun print, new style for me, and discounted price tag that I ignored the fact that the sleeves were too short (more like two-thirds than three-quarters). This bothered me every time I wore the tunic, which wasn’t very many times. In addition, the synthetic fabric was highly prone to static cling, so I also need to be mindful of this critical factor when I shop. So basically, this beautiful top taught me not to settle on either fit or fabric just for the sake of a lovely style or a low price. Green and grey striped tee: This tee is super comfortable, but the color washed me out, especially now that I am growing out my gray hair (an update on that soon). Every time I looked at myself in the mirror when wearing this top, I got a sinking feeling. But since I love stripes and didn’t have many short-sleeved tops that worked well for me, I hung onto it and wore it. The lesson this tee taught me is that color is just as important as print, fit, and comfort level. Grey coat: I happily wore this coat for years, but recently came to feel that the medium gray tone was not very flattering to my skin tone. Maybe it never was or perhaps my skin tone has changed with age. For a while after making this observation, I kept the coat and paired it with bright colors, but then I realized that I have enough coats (I do live in San Diego after all!) and others that I like far more. This coat taught me that when a “love affair” with an item is over, it’s okay to let go. Multi-color print maxi-dress: I bought this dress last year at a consignment store. I was dazzled by the label and the fun print, even though the color palette was too warm for me and the elastic waist wasn’t very comfortable. The lesson I learned from this dress is that brand names don’t matter when all of the other key boxes aren’t checked. I should have left this dress in the store, but now it’s back there ready for a warm-toned woman with a slimmer waist to wear. Striped maxi-dress: Although it goes without saying that I love the colors and stripes on this dress, the waistline never quite hit me at the right place. I also bought it when my weight was unnaturally low as a result of health issues. What I learned from this dress is that I shouldn’t expect my weight to always stay within a very narrow range and that it’s far better to purchase pieces that are a little more forgiving of size fluctuations. Also, a half inch to an inch makes a big difference when it comes to waist placement on dresses. Turquoise tank top: I wrote about this top in my last purchase update. It’s too tight on me and could only be worn under perfect conditions (flat stomach, no bloating). I love the color, but it just wasn’t comfortable to wear, even last summer when I first got it. I wore very fitted tanks for years, but it’s just not me anymore. What this tank top taught me is that I need to accept that my body is changing and both my chest and waist are a little larger than they used to be. If I can accept this fact and dress accordingly, I’ll be much happier. I have three similar tanks that are almost as tight and they may be on their way out soon as well. The black version is still in my closet (it still works okay) and the cobalt and purple ones are in the “holding zone” for now. It was helpful for me to consider and write about what my KonMari cast-offs have taught me. Having done so, I can now send them on their way with love (some are already gone). Of course, I wish I could turn back the clock and never have purchased at least some of these items, but beating myself up for it now won’t help anything. It will just have me feeling worse and could lead me to shop to salve my wounds (see “Why Do You Overshop?”). That would only add insult to injury, so I’ll aim for internalizing the lessons and forgiving my flawed self instead. I’m glad I took the time to “KonMari” my closet last weekend. The summer season only recently started in my neck of the woods and I now feel much better prepared to dress for it. Everything in my closet fits me well and either sparks joy or serves a valuable purpose in my wardrobe (or both!). Now my task is to shop my closet, wear and enjoy what I have, and only add new pieces strategically when needed to fulfill actual wardrobe needs. I hope not to need to use the KonMari Method in my closet again for a long time, if ever. Ideally, I’ll only need to cull a few pieces here or there as a result of their becoming worn out or because my style preferences have moved on. It’s now less than a month until my 50th birthday (see my three month and two month updates HERE and HERE). I will be writing about that soon and giving you an update on how I’m doing with my goals for the year, both in terms of my wardrobe and shopping and my life at large. Many readers have assured me that the view from the other side of 50 is just fine. Before long, I’ll be able to see that for myself and I’ll probably wonder what I was fussing and worrying about so much. Until then, I’ll just keep taking life day by day and trying to make the most of the last few weeks of my forties. Stay tuned for another photography interlude post coming up soon as well. I wish you all a wonderful weekend! This entry was posted in KonMari Method, Minimalism, Wardrobe Management. Bookmark the permalink. Debbie, You did a great purge! I still have difficulties to do the same, and let things go. 😦 I have to make more efforts in the future! Hope that helps. Good luck to you! Wow! I am impressed. This is a n approach that months ago I’d never imagine working so well for you, Debbie. You have been more rational than most women about your clothes. Enjoy your streamlined closet. I hope turning 50 is a joy to you; in a couple of months I turn 70, which is the first birthday that sounds old to me! I am happy, however, with my life. We all know it’s coming (if we are lucky), right? Continue simplifying and you will enjoy the rewards. This was another interesting post to read, especially the analysis of why. I am proud of you. I wouldn’t have thought it would work so well for me, either, Helen, but it’s good to be pleasantly surprised. I’m already feeling much better about my closet over the past week, so I’m very glad I took the plunge. Thanks for your encouragement about turning 50 and best wishes to you on turning 70. My mom is going to turn 72 soon and she still feels young and is enjoying life. I definitely intend to keep simplifying. I did a lot of it before I really tackled my wardrobe, as that part was harder for me. Still more to do, but I’m well on my way. Still working on that digital clutter! When you posted about doing KonMari on the End Closet Chaos Facebook page, I got inspired to purge my jewellery collection. I got rid of everything except my watches, one necklace and 3 gifts from friends for sentimentality (anything other than a watch gets in the way for me) and felt much happier. So thank you for the inspiration! I’m thinking about doing a KonMari on my clothes but I’m too scared to. All my clothes are very comfortable and I (kind of) like them, but most of them are incredibly dull (barely any brights/colours + way too many neutrals for a 19 year old with a typically over-enthusiastic personality) and definitely don’t spark joy in my life. The main concerns, of course, are laundry (I live with my family so I don’t do it and it makes my mum stressed if she thinks I don’t have enough multiples/clothes) and whether I will have enough to wear in general. Oh, and whether such a drastic purge will leave emotional holes that will result in me refilling the wardrobe with the same bad stuff I purged in the first place (I’ve had experience with that…). Another concern is wastage and guilt, but you’ve addressed that here wonderfully. Also, great reasons for your KonMari – I might just have to use them! I’ve found that it’s best for me to downsize more gradually, otherwise I go out and buy more. Over time, I’ve been able to purge more at once, but I still don’t go for broke with it the way some others do. Also, I like a lot more of what I have now. I would recommend that you keep a donation bag in your closet to add to when you wear something and find that you don’t like it or are physically uncomfortable. Another idea is to use a “hidden holding zone,” which is discussed in this article: https://youlookfab.com/2010/07/29/the-power-of-the-hidden-holding-zone/ I’m glad you liked this article. Good luck to you! Thanks Debbie, I certainly hope it’s inspirational to other people too! I had accumulated a lot of jewellery throughout my childhood (I got one (now) tiny bracelet for my 5th of 6th birthday!) so it was definitely time to clear it out =) . I agree with not necessarily needing KonMari for my clothes right now; I think it is a bit extreme at this point (I have less than 85 pieces including shoes but not counting lounge/sleepwear and any other accessories) especially considering laundry and past experiences with emotional holes. I’ll definitely take your suggestion of a gradual-paredown; as you’ve said it would probably work better for me. I actually re-read your “closet set point” article a few hours after I left my comment and your article about “enoughness” – https://recoveringshopaholic.com/how-many-clothes-are-enough/ – which really resonated with me emotionally. Both articles inspired me to do a bit of a clear out; I cleared out old dancing clothes that were too small/uncomfortable for donation out of the plastic box I was storing them in and put the first round of clothes I didn’t like/wear in that box as a “hidden holding zone”. I also put a bunch of dresses for donation because I barely wear dresses now; I’m down to four at this point and feel super proud of myself. It’s true that one of them is a “just in case” formal one that makes me look like I’m 40, but that’s alright; one step at a time, and I think I will get to it eventually anyway. My plan right now is to keep a donation bag like you’ve suggested and add pieces to it or my “holding zone” as time goes on. I think it will help me figure out just how many clothes I really need (less than what I have, for sure!). You’re doing SO well, Vivien, and I’m very happy to have played a role in your progress! Yes, I think that with a wardrobe of 85 items, there’s no need to pare down quickly or even at all unless there are items that no longer work for you. It seems like you are finding a few of those as you go, so that’s great. The “holding zone” really works well for me, as I used to panic about getting rid of things too quickly. Some of the items I let go of in this round of KonMari are still in the holding zone, but many are gone because I felt certain and at peace about passing them on. There is no right or wrong way to do this. It’s all about what works for you and you’re making it work! If its any help to you in your decision making process, I think the teal dress has a bit of a church lady vibe! 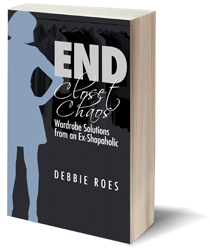 Once again, Debbie, you nailed the emotions and issues of closet purging and the “tidying” of our lives. (I recently purchased Kondo’s book and plan to begin reading it soon.) What’s bothering me right now is that I, too, have a smaller space between hangers, having replaced items that I’d been inspired by you to purge. I also have gained a bit of weight, so I’ve been replacing wardrobe essentials. I’m pretty regular about purging my closet, it’s just that I feel it gives me license to replace and the pull to shop – and escape life’s difficulties – is always there. I want to thank you for a reflection you shared a few months ago about believing the salespeople are my “friends.” So thank you for that. I love the “why’s” you listed before tackling the closet. The knowing our style, as it is now, is important. We are always changing and hopefully growing, and so our style should not remain stagnant. What felt so “me’ 2 summers ago may not today. Also, I’m experiencing some shift in my shape, although subtle, that affects what I am comfortable in lately. Jersey dresses that cling at the high hip are out. Some tops that are too short and wide didn’t stay, despite loving the print. That’s a hard one to get over, loving a piece but not loving it ON you. I have several items in this category and it often takes the longest for me to finally admit and let go lol. Good job on another pare down. Those subtle shape shifts can make a big difference, Mo. My shape hasn’t changed dramatically, but some of the things I used to love to wear just don’t do it for me anymore. Yes, it’s hard to let go of things we love but not on us. I have a few in the “holding zone” still, but they will more than likely be moved along. I find it easier to let go of things that just aren’t my style anymore. The fact that our style does and should evolve gives even more credence to you concept of only buying three of any one style. That way, we will get plenty of wear out of those pieces before we are “over” them. I love the “whys” you listed as well. I have to admit, I love all your Konmari type posts. I’m reading “Spark Joy” now. It’s more of the same for people who are addicted to the first KonMari book like I was. Both books have really helped me look at decluttering with a new eye. I live in a tiny space and it was always a challenge to get my space cleared out, especially my clothes. I love KonMari! I haven’t read “Spark Joy” yet, Jane, but I do have it here. Maybe I should read it now to help me finish my decluttering! I still need to finish going through what she calls “komono” as well as my digital files. I’m sure I will be doing more KonMari posts, so I’m glad you and others like them! Hi Debbie. Great post. 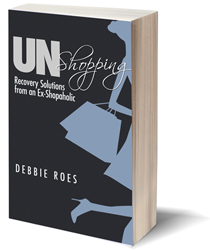 As a lifelong shopaholic and clothes obsessive I can’t believe how much I love purging & simplifying. Use it or lose it is my mantra. My items are mainly given to my nieces and friends who love the items almost as much as I love seeing them being worn and enjoyed. I’m in effect my loved ones personal shopper! This negates a lot of the purge guilt. My wardrobe & my home now only contains items that I love or find useful. I have a small capsule of beautiful clothes that fit my lifestyle and the feeling of lightness is wonderful. Following a major purge of my evening gowns I donated them to a Salvation Arm charity shop, the manager rang me to tell me they had sold one of my gowns to a bride to be. She was ecstatic as the affordable dress meant she was able to free up funds to spend elsewhere and still look amazing. Also of course the monies raised for the homeless shelter was a double whammy! That dress had been hanging in my spare room wardrobe for over a decade and now had another moment in the sun! What a cleansing and life-affirming perspective. Thanks for sharing these purging feel-good moments, Sharon W.! It helps a lot to be able to pass our cast-offs on to friends and family, Sharon. It’s great that you have people in your life who appreciate the items you no longer love or wear. I don’t really have anyone to give my clothes to, but I did pass on some jewelry pieces to online friends in the “End Closet Chaos” group and it felt really good to be able to do that. It was fun to see them post photos of themselves wearing my former pieces in locales as far away as Australia and New Zealand! I love your story about your dress going to a bride-to-be and helping to fund a homeless shelter. That’s really win-win! I still have my wedding dress, but plan to get it cleaned and pass it on now. It still looks current enough even 15 years later and I’m not going to wear it again! I actually tried it on recently and despite my being very close to my wedding weight (probably even 5 pounds or so less), it fit very differently. I wouldn’t wear it again now even if I needed a wedding dress! I hope someone will love and wear it much like what happened to your dress. I don’t know if I ever mentioned the book “What to Wear for the Rest of Your Life: Ageless Secrets of Style” by an author that used to write the “Chic Simple” series of books. I read it a few years ago but saw a copy at the library last week. A few months ago, I bought a reprint of “Cheap Chic: Hundreds of Money-Saving Hints to Create Your Own Great Look.” I had the original book back in the day and was one of the first books I read on style & clothing. (The discussion of cost-per-wear in that book is still a timeless concept.) I also read “In the Red: The Diary of a Recovering Shopaholic” a month ago and found it to be quite funny as well as inspiring. I have found myself going back to my mother’s approach to clothing. You should have 3 casual outfits and be doing laundry twice a week. (Her favorite clothes growing up was jodhpurs because she loved to ride and that was back in the 40s in the country of her birth. Her favorite shoes were crocodile because they never wore out!) I have found myself limiting myself to three or so items of each type – short jacket, long cardigan, long-sleeve blouses, etc. With three items of each type, I can easily see what I have and feel like I have enough unless something special comes along to update my look. I don’t know if you’ve mentioned that first book before, Maggie, but I remember checking it out from the library a number of years back. I haven’t heard of the second book, but it sounds interesting. The concept of cost-per-wear is always a helpful consideration when deciding whether or not to buy something. People often get things backwards because they will spend a lot on a formal dress they will wear just once or twice and skimp on their everyday clothes. I actually have that third book you mentioned, but I haven’t read it yet. Perhaps I need to do that soon, as I’d love to read a funny and inspiring book! It sounds like your mother gave you some good advice about clothing. The three of each type approach is a good one. We really don’t need more than that in most categories , but of course that doesn’t stop some of us from wanting more!